With a population of nearly 2.6 million, Brooklyn is home to diverse neighborhoods, the creative arts and a growing economy. As the most populous borough of New York City, Brooklyn welcomes innovators and businesses alike. While it’s known for the hipster culture and setting for films and television shows, Brooklyn offers a great hotspot for startups and work environment for entrepreneurs. With being the largest business district outside of Manhattan, this bustling borough draws in a crowd of young professionals from New York City with the job growth and quality of life. Startups such as Agrilyst, a web-based software platform for indoor farms and winner of TechCrunch Disrupt in 2015, and Lingo Live, a tech company that helps businesses and employees communicate with live one-on-one personalized language coaches through video conference, are among the few successful companies that have began in Brooklyn. Silicon Alley, the New York’s equivalent of Silicon Valley in California, has also expanded from Manhattan into Brooklyn creating a better marketplace for high-tech startup companies. Not only does this borough offer a fresh, creative location for your place of business without the hustle and bustle of NYC, but overall it is an exciting and artistic place to be. The Brooklyn Museum and Brooklyn Academy of Music are both must-sees and a great example of the rich culture. Where one is the nation’s second largest public art museum and the other is an influential performing arts venue, each give Brooklyn an unique distinction from the neighboring boroughs. The art scene itself is also thriving due to the influx of young designers and desire to create and design progressive art. Sports as well support the energized culture with the Brooklyn Nets and famous line of athletes that grew up in the borough such as Michael Jordan, Mike Tyson, Vince Lombardi and more. 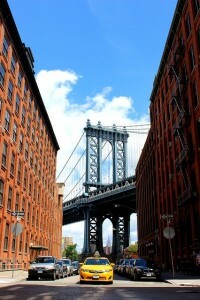 From the rapid growth of a high tech and entertainment to increased population and jobs, Brooklyn’s economy is booming. Whether you’re thinking of starting a business or you have an emerging company on the rise to success, Halloo can manage your daily tasks with our virtual phone system and help you create a thriving and efficient business. Find a Brooklyn area phone number for your business. To search numbers available in area code 718, 347, 917, 929 click here. This entry was posted in Local phone numbers and tagged Brooklyn Phone Numbers by Kathryn Anderson. Bookmark the permalink.